The THS '86 30-year Reunion will be held on the weekend of July 30, 2016. Casual get-togethers have been planned for Friday evening the 29th at the County Grill in Yorktown and Saturday afternoon the 30th at Yorktown Beach. There will also be a Saturday morning visit to THS for those who are interested. The big event will be Saturday night at the Kiln Creek Golf Club & Resort. And last but not least, there will be a party at The Cactus after the Kiln Creek event. • County Grill (Yorktown) - Friday, 6:30 p.m.
• THS Visit - Saturday, 9:00 a.m.
• Yorktown Beach - Saturday, 11:00 a.m.
• Kiln Creek - Saturday, 6:00 p.m.
• After Party (The Cactus) - Saturday, 10:00-ish p.m.
All of the events except for the Kiln Creek event are FREE. Please register yourself and any guests for all of the events you plan to attend. We want as many people to attend as possible, so plan to be there and tell your THS friends! GOLF ANYONE? If there is an interest, Tabbi (Wiseman) Brownschidle will put together a golf outing. She's looking at Ford's Colony during one of the mornings--Friday, Saturday (during another event) or Sunday--whatever works for those who are interested. Shoot her an email at schidle123@yahoo.com if you're up for a round. PLEASE TAKE PHOTOS!!! We do not have a photographer for any of the events. Everyone please take pics and post the good ones to the class photo website. A 30-year reunion folder has already been created for you. Helpful information for the reunion is available here. 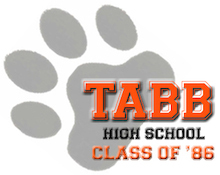 Also, please go to the Class Member List page and check your contact information. To add or change your contact information, click here. If there are any class members with whom you still keep in touch and for whom no contact information is posted yet, track them down and ask them to post, if you would.